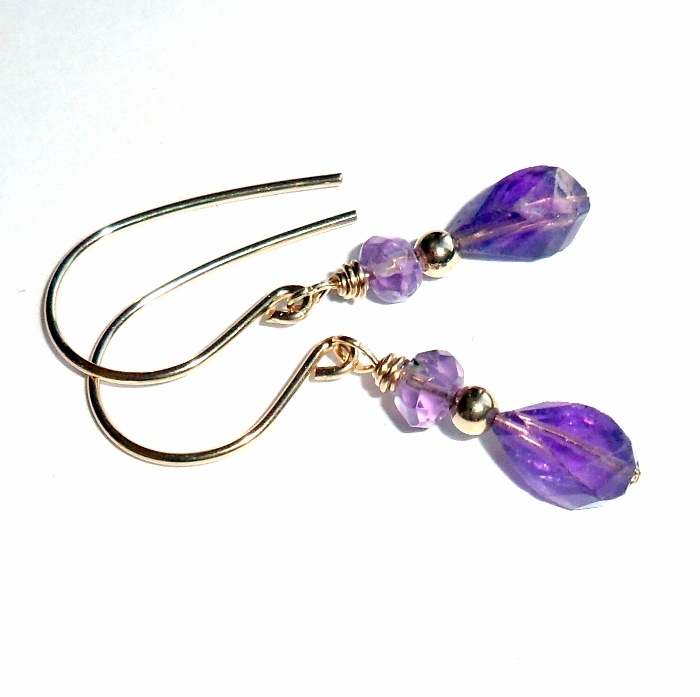 Purple amethyst gemstones suspended on 14 carat gold fill earrings. 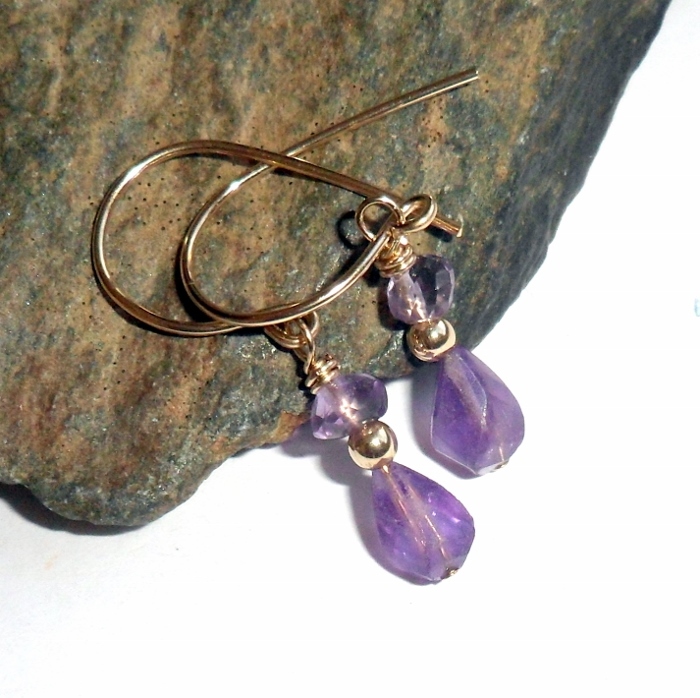 Purple amethyst has a gentle calming effect, commonly used for healing. Amethyst aids in overindulgence and giving up bad habits, and helps clarify the mind. It alleviates sadness and grief, and eases headaches, tension, and insomnia. 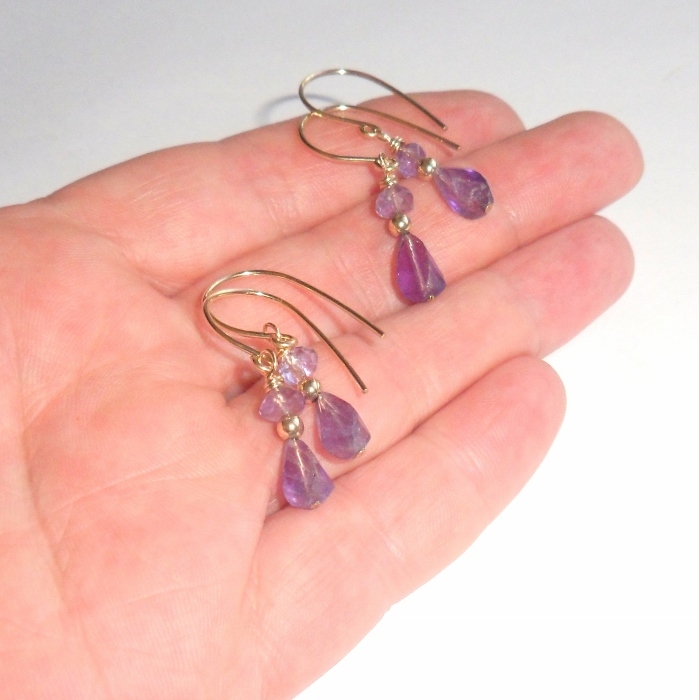 Amethyst is the February birthstone. Overall drop length approximately 1 3/8 inches.